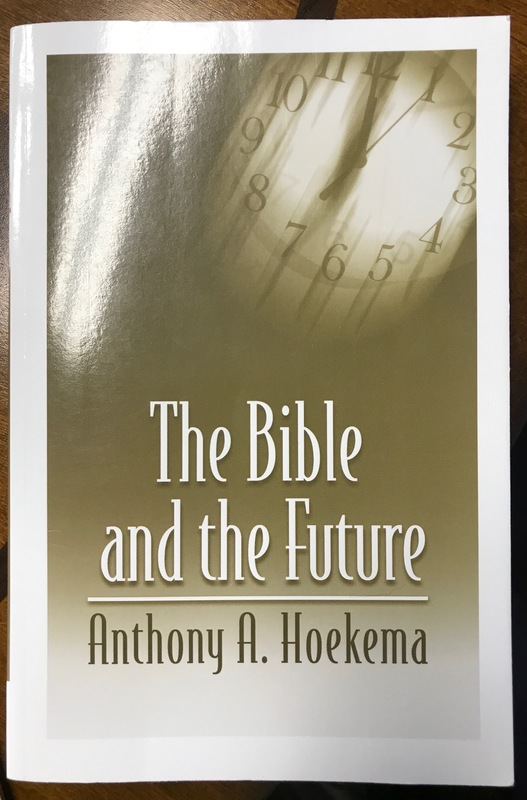 In preparing to preach on the Second Coming in last Sunday’s sermon (based on Peter’s warning in 1 Peter 4:7 that “the end of all things is at hand”), I read the most helpful book on the subject that I’ve ever read: Anthony Hoekema’s The Bible and the Future. His book cleared up confusion on my part concerning the so-called Olivet Discourse, Jesus’ “little apocalypse,” delivered to his disciples on the Mount of Olives, in Matthew 24-25 and its parallels. What was I confused about? Something that N.T. Wright advocates in his commentaries on the subject: everything that Jesus says in this passage (and elsewhere in the gospels), which has traditionally been understood as pertaining to his Second Coming, isn’t about the Second Coming at all. Rather, it’s about the Roman invasion of Jerusalem and the destruction of the Temple in A.D. 70. Now, before the “Wright Is Wrong” crowd start piling on, let me say this: Wright doesn’t for a moment deny the Second Coming. In fact, he affirms it loudly from the rest of the New Testament. He just doesn’t think that Jesus taught it prior to his resurrection. In one of his commentaries, he writes that the disciples couldn’t understand his predictions about his suffering, death, and resurrection. Why would Jesus further confuse them with words about his Second Coming? So this makes Wright a “partial Preterist”: Jesus’ apocalyptic language has already been fulfilled. So Jesus, in Wright’s view, “returns” in this figurative sort of way in A.D. 70, before he returns in a more literal way at the end of the age. In a sense, Wright teaches that there are two “returns” of Christ. And don’t most of us Christians—including Wright himself—fault our dispensationalist brothers and sisters for teaching that Christ returns twice—once for Christians and a second time after the Great Tribulation? Is Wright’s position really so different? Regardless, as much as I respect Wright—and as much as I fear disagreeing with so fierce an intellect—his argument about Jesus’ “little apocalypse” sounds like wishful thinking. It sounds like he’s trying to solve an apologetic problem—namely, Is the Bible, or Jesus, wrong about the Second Coming? Granted, his “solution” isn’t the worst I’ve heard. C.S. Lewis—speaking of Christian thinkers I admire—happily admits that Jesus was wrong. But that’s O.K., he says, because Jesus himself said, “But concerning that day and hour no one knows, not even the angels of heaven, nor the Son, but the Father only” (Matthew 24:36). So this is where Hoekema comes in: From his perspective, there is no problem. Not if we understand the way prophetic language works. For example, I’ve struggled with two aspects of Jesus’ “little apocalypse.” First, if Jesus is talking about the end of the age and his Second Coming, why does his language focus so sharply on events in and around ancient Palestine? … The prophet paints the future in the colors and with the lines that he borrows from the world known to him, i.e., from his own environment…. We see the prophets paint the future with the palette of their own experience and project the picture within their own geographical horizon. This appears in the Old Testament prophets in all kinds of ways. And in our opinion, this is also the explanation of Jesus’ description of the future. He follows the Old Testament most closely, and not only is the temporal perspective lacking at the end, but the geographical horizon within which the eschatological events take place is also restricted in some places to the country of Judaea or to the cities of Israel. And on the Mount of Olives nearby, the disciples ask Jesus a two-fold question: “Tell us, when will these things be”—in other words, when will the Temple be destroyed—“and what will be the sign of your coming and of the end of the age?” So the disciples have asked about the destruction of the Temple and the Second Coming. And in Jesus’ response that follows, he talks about both. And it’s often hard to tell when he’s talking about one event and not the other. And that’s intentional: He’s saying that the Roman invasion of Jerusalem and the destruction of the Temple—which took place in the year 70—reflects, on a much smaller scale, what God will do on a global scale when Christ returns. So he’s using the destruction of the Temple to make a point about the end of the age and the Second Coming. There’s a near-term fulfillment of biblical prophecy, and a long-term fulfillment. Another example is the Book of Joel: He talks about God’s judgment against Israel in the form of a plague of locusts that will produce famine in the land. And he says that the people can repent and be saved. But then he pivots from this near-term judgment of God to God’s final judgment—and our hope for salvation in Christ. The two events blend together. He uses a small-scale event to make a point about a much larger-scale event. And Jesus does the same thing when he relates the destruction of the Temple to his Second Coming. When you read Matthew 24, it seems like the Second Coming will happen at the same time as, or shortly after, the fall of Jerusalem in the year 70, but as one scholar says, it’s like looking at mountain peaks from a far distance: They look like they’re close together, but when you get up next to them, you see that they’re separated by many miles. I emphasize this because I don’t want us to get discouraged and think, “The Second Coming is never going to happen! 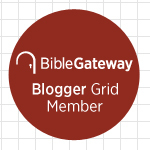 It would have happened a long time ago!” I don’t want us to lose confidence in God’s Word. What are your thoughts? What questions or concerns have you had about the doctrine of the Second Coming? † Anthony Hoekema, The Bible and the Future (Grand Rapids, MI: Eerdmans, 1979), 149. This entry was posted on	August 17, 2017 at 2:09 pm	and is filed under Uncategorized. I stopped trying to figure it out when I realized that I would meet the Lord Jesus through the door of my own death. If he returns before then, I’ll get a quicker answer. Otherwise, I’m perfectly content to wait until I die to be given understanding. It’s not very long to wait. When I’ve preached about the Second Coming in the past, I’ve always emphasized that being prepared for the Second Coming is exactly the same as being prepared for our deaths. But Hoekema’s book was eye-opening for me! Yeah, what Jesus says here is very confusing. I do agree, however, that Jesus is “mixing” statements about the destruction of the temple with what will happen at or about the time of his Second Coming. (As an aside, in my view, I don’t think there will be any “two comings” at the end. Among other things, the idea of a “literal thousand year reign” before we get to final judgment and heaven seems counter-intuitive.) I also agree with the concept of “dual fulfillments,” and that Jesus adopts the same type of prophesy style that he inspired OT prophets to pronounce. Apostasy, Great Tribulation, and Man of Lawlessness (Antichrist) are the three that the author of the book says are remaining. He argues at length that “all Israel will be saved” is something that is ongoing throughout church history. But I know that many people disagree—among them, N.T. Wright. He believes there will be a mass conversion. I need to study it more, but I found this book very helpful. The tribulation part may be happening now, for all I know. I know persecution of Christians is greater today than ever. But I suspect it will get much worse! Of course, there have been plenty of antichrists… just not THE Antichrist. Yeah, I think the “Great Tribulation” may be underway already, but that is a difficult one to gauge. Jews and Antichrist would be more notable, as I see it. Is there really anywhere on Earth that hasn’t been evangelized over the last 100 years?? No question about that. There remain many tribes that are untouched by the gospel—based on what I’ve read, at least. I just find it hard to believe that with modern communication technology, combined with huge missionary outreach, that there are many “unreached”. Now unbelievers, or believers in something else, or deniers, that’s another kettle of fish. Yeah, I consider that Revelation statement to be ambiguous enough that I am not holding up my “speculation prognosis” based on that criterion.